OPSEU President Warren “Smokey” Thomas arrives at Occupy Toronto with Indian take-out for 400. The day after a violent thunderstorm and heavy rains, the tent city continues to expand despite the mud and damp. Solar generators have arrived with the promise of making the camp even more self-sufficient. Christmas lights are found in the logistics tent, suggesting this is going to be a long stay. What does a one per cent increase for the Ontario Public Service have to do with Windsor Regional Hospital? Answer: very little. Yet this morning the hospital’s CEO made the front page of the Windsor Star attacking the agreement, which does not directly impact staff at the hospital. It’s true that all wage settlements are subject to comparison at the bargaining table, and it is likely WRH CEO David Musyj will try and introduce the lowest comparators he can find. If the two sides cannot agree, an arbitrator will look at all the submitted comparators. That’s the nature of the process. 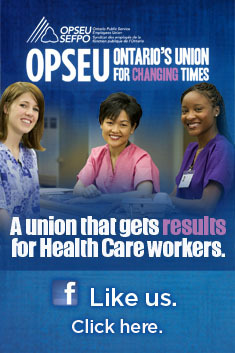 OPSEU does not shy away from negotiating the best contracts for its members. During a recession it’s not unusual to have the final years of a multi-year contract make up for lower increases in the early years. Musyj says both the arbitration and negotiation process is broken. How so? This is the same CEO who claimed he couldn’t afford $3.6 million in salary increases while the hospital was receiving more than $10 million in new money and audited statements revealed he was actually sitting on a surplus. Better still, the spring budget revealed status quo for the hospitals, forestalling reductions in the rate of increase that had been forecast in the 2010 budget. That means Musyj will likely see that surplus increase. Musyj says his office is expected to reduce expenses by 10 per cent, but that doesn’t necessarily mean he will be taking another cut in pay (the latest Sunshine list showed Musyj took a cut in pay to $254,847 in 2010 from $265,000 in 2009). The government has made it clear that it will not penalize hospitals that fail to do so. With a surplus, what is Musyj’s motivation for doing so? The question comes down to this: we are now emerging out of the recession, why is it would-be politicians like Musyj still trying to reduce the standard of living of working people? As we have noted repeatedly, the same thing was never asked of profitable corporations who are seeing their taxes cut to record lows. It’s already party time on Bay Street and Wall Street. This morning the economy posted stronger than expected job numbers, suggesting Ontario is bouncing back from the recession. That means more revenue for the government, and by extension, its hospitals. Where’s the panic? Musyj is playing politics at the expense of the morale of his staff. This is far from good leadership.